Everything tastes better fried, especially dessert, and this Filipino classic is a quick, easy one to make. All you need are spring roll wrappers, sugar and bananas. You can check out the full technique in the video linked below. Basically, cover the slices of banana in the sugar, roll them in the wrapper (start from a corner and use water to seal the edges of the wrappers) and drop them into vegetable oil. 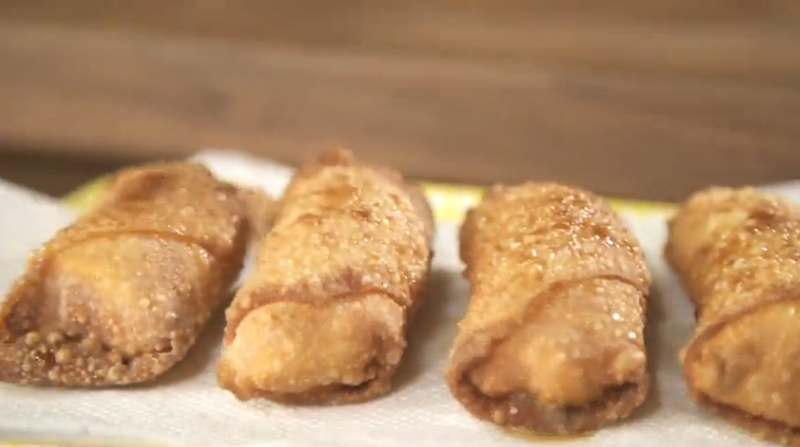 As you turn the lumpia, sprinkle them with a bit of brown sugar to caramelise the outside. Serve with ice cream, whipped cream or just eat them on their own.